Sometimes the best play time your kids have are indoors; at home with you. There are many things you can do to have fun with your kids. Because of their age, you will still need to supervise toddlers and preschoolers while they play. Invite other children to play with your child and host a play-date. We will share some great play-date ideas for young children below 6 years old. Not only are these play-dates great for bonding between parent and child, they also stimulate creativity and encourage the practice of social skills among young children. All you need are an assortment of easy-to-cut fruits and snacks like peeled bananas, strawberries, string cheese, cheese cubes or cheese slices and bread for the young kids to put together. 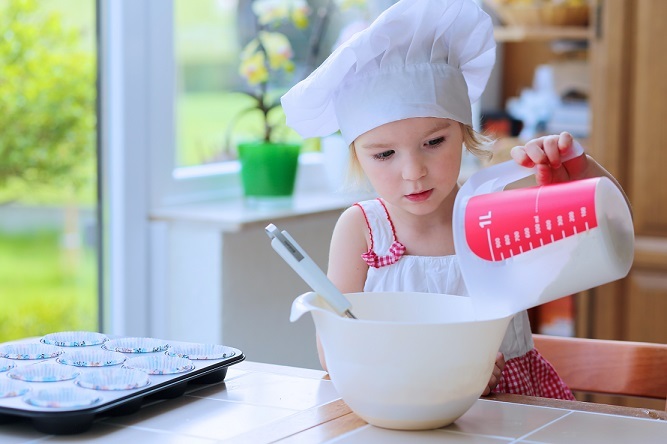 If you are open to a bit of mess, allow the young ones to bake muffins or cookies with you. Your little helpers will love the snacks that they helped to prepare. Save the toilet rolls or kitchen towel rolls after they are finished and recycle them as materials when you host a craft play-date. 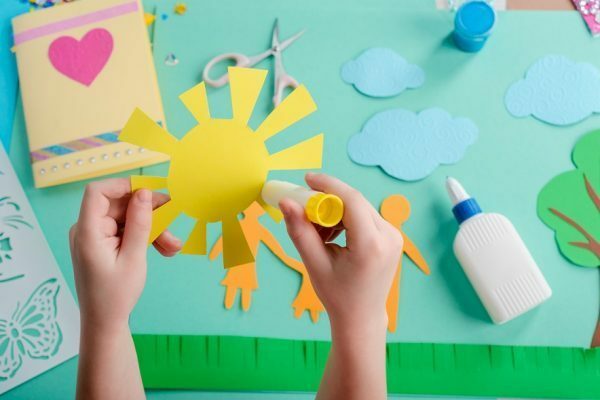 Give the kids some paint, some colorful construction paper and watch them use their imagination to create fun, colorful robots, cars, and puppets for playtime. Hosting a craft play-date can get messy. Remember to lay down old newspapers to catch the residue paints dripping from the little artists’ paintbrushes. Kids love to paint. It’s dirty, colorful and incredibly fun. This play-date can get messy, so it is ideal if you have an outdoor space. If not, be sure to lay out tons of newspaper or old shower curtains on the floor for the kids to channel their inner Picasso or Michelangelo. If you are not one for mess, crayons or color pencils are good options too. Provide blank art paper or print out fun designs with the kids’ favorite Disney characters for them to color. Kids love bubbles! Enough said. Fill a tub with bubbles and different sets of bubble wands. Tell the kids to strip to their pampers and allow them to be as messy as they want. 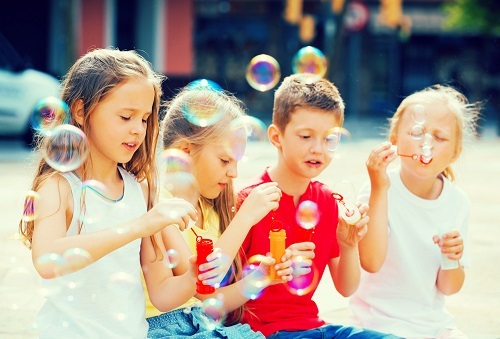 Bubbles play is best conducted on a grass patch as it reduces the risk of falling down and injuring themselves. Young kids are intrigued by cardboard boxes. They crawl into them, burrow through them and place them on their heads. Give the kids a cardboard box or five. They can be of the same size to redecorate or different sizes to build a fort. Watch them construct and re-invent an imaginative world where they can slay dragons, rescue princess or battle the dark force (Ala Star Wars style). A word of warning though for the parent host, the kids might ask for markers. Make sure they are washable markers in case the kids accidentally “marked” your furniture. Combine the play-date with some unstructured playtime where the kids are free to play with other toys. Each play date can easily take up 2 to 3 hours of playtime in the morning or afternoon. Remember to have fun yourself.